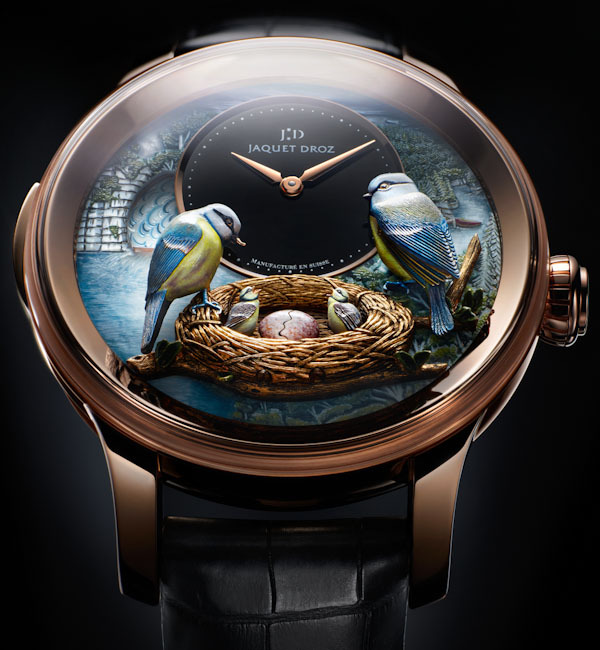 Jaquet Droz is known for their rich history of creating automata. 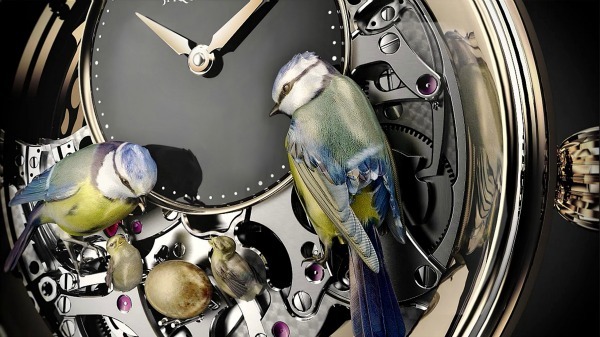 This time they amaze us with their newest creation, the Bird Repeater. 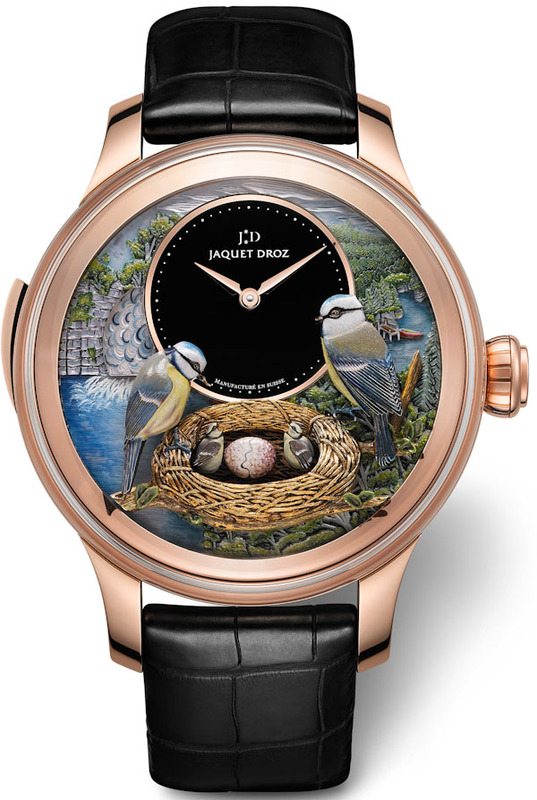 A combination of a minute repeater and an automata of birds feeding three chicks, of which one comes out of an egg, while the water of the stream flows in a continuous cascade. 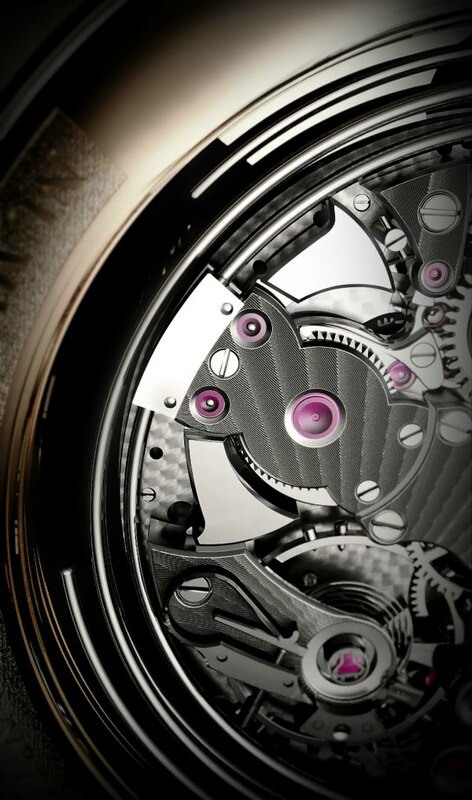 The dial is totally done by hand and is incredibly well-detailed. 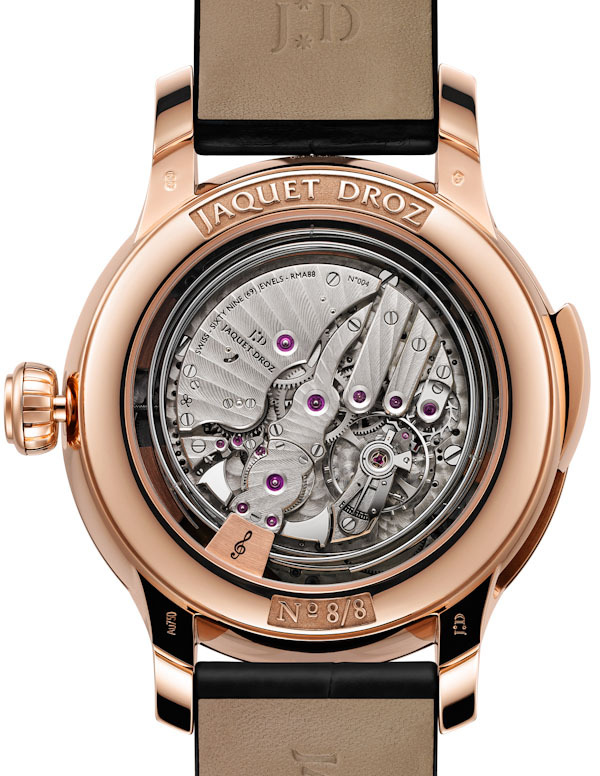 The base dial is mother of pearl, which is hand-engraved and painted. The waterfall done on a rotating disc which spins to create the illusion of falling water. 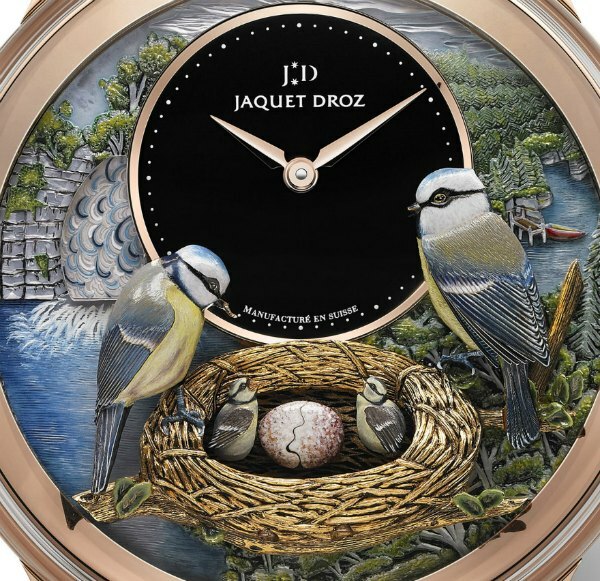 The birds and nest are also hand-engraved and painted individually. The animation sequence has an impressive level of action with wings opening, eggs hatching, and chicks being fed. Just 16 pieces will be made, 8 in 18-karat gold and 8 items with diamonds. The price will be close to half a million Swiss francs. Also we recommend you to check our list of Best Black Watches for Men. very nice, i mean this is so amazing! love to have one if possible. very unique and beautiful as well. Love the work but the dial is to small for me to see. It’s hard to tell time in dark places like on the dark streets. that’s what a minute repeater is about!!! it’s not tell the time by glowing hands, but it’s tell you directly! Too good! Especially the music edition one!